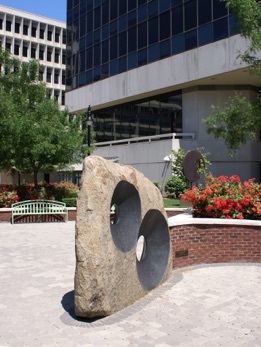 “Rendezvous-Two Views, Common Ground” is installed as part of Freedom Plaza at the government center of The City of Wilmington, New Castle County and the State of Delaware. 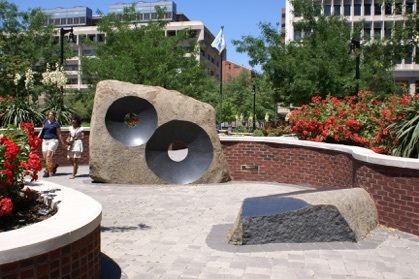 The integrated seating and its spiral design presents the public with the opportunity to meet in sun or shadow, in public or private, and as an individual or as a group. 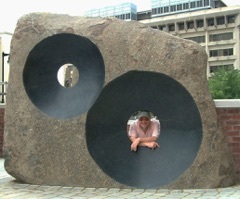 The artwork stands as a symbol of common ground and understanding.